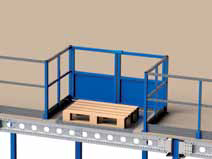 A proper pallet handling system is necessary to place goods and/or pallets on the floor safely. 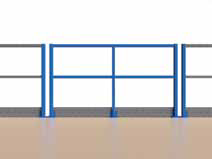 On the side where railings are installed, these are interrupted with a pallet gate with various fall protection features. 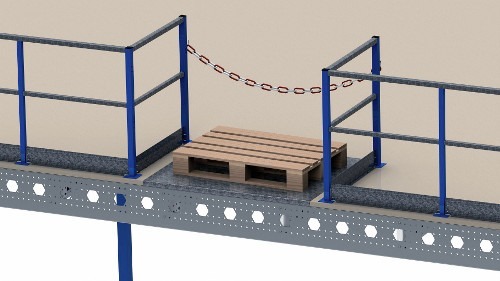 The pallet placement position is provided with a recessed railing section with a red and white plastic safety chain. 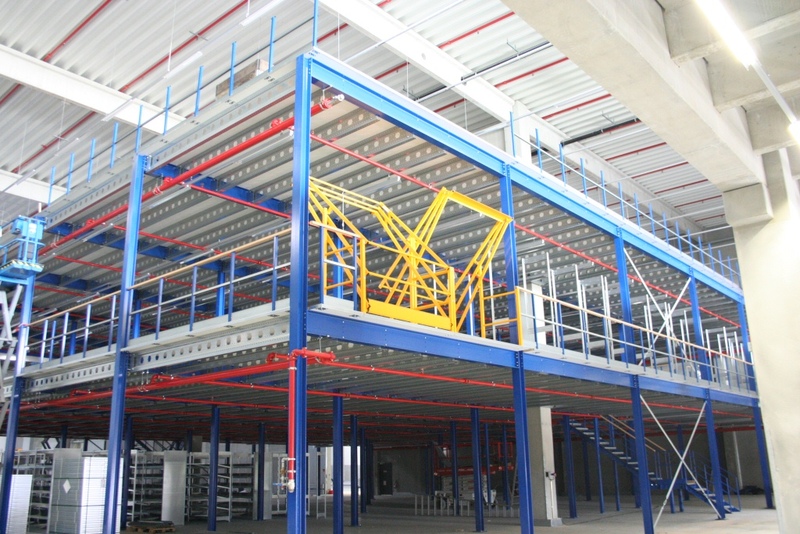 The pallet placement point is the cheapest solution and is the most commonly used in warehouses. It should be mentioned, however, that this is not the safest solution. 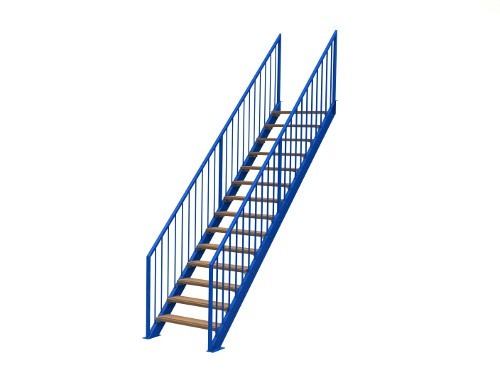 The pivot gate works like a cargo lock that moves over the goods. 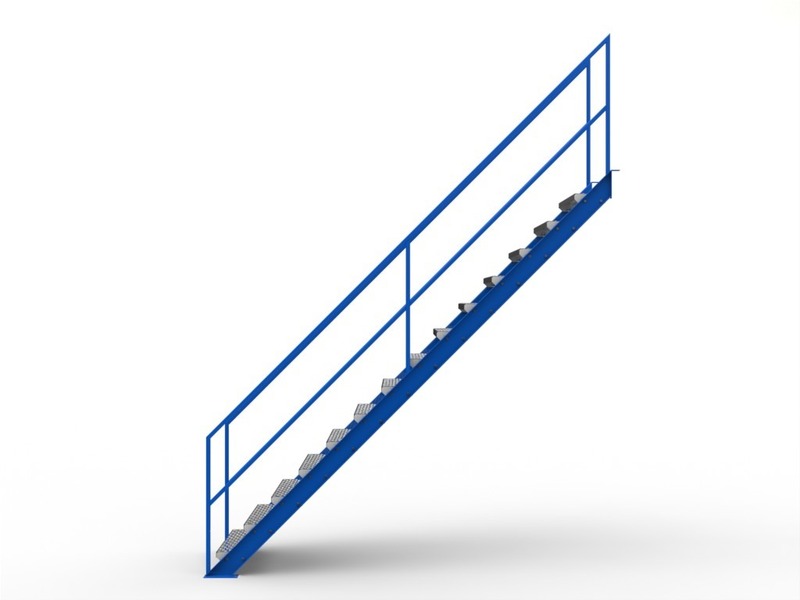 This creates a safe area for the goods to be transported that is protected in accordance with health and safety guidelines. 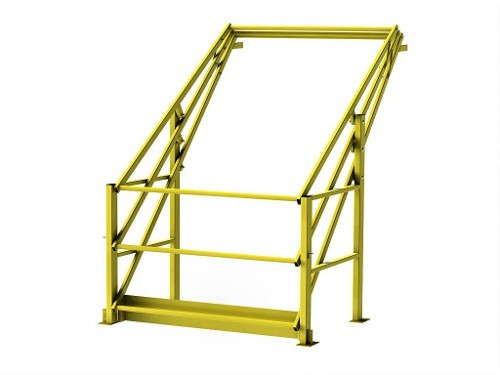 The pivot gate can be placed in the correct position with an easy hand movement and the goods can be removed safely. It is clear where and when the goods can be delivered or taken away. 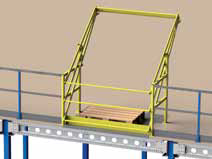 This pallet handling system is the safest system to place goods on the mezzanine. 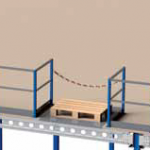 Your goods are always placed in a protected area. 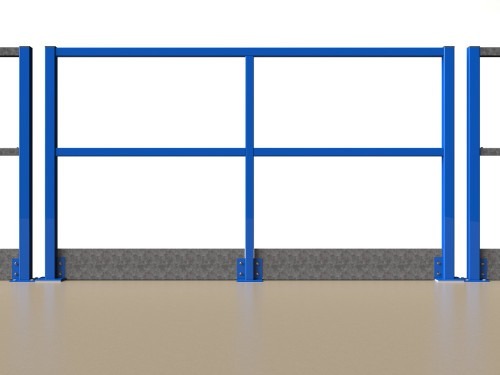 The hinges of the swing gate are self-closing, making it easy for one person to operate the pallet area. 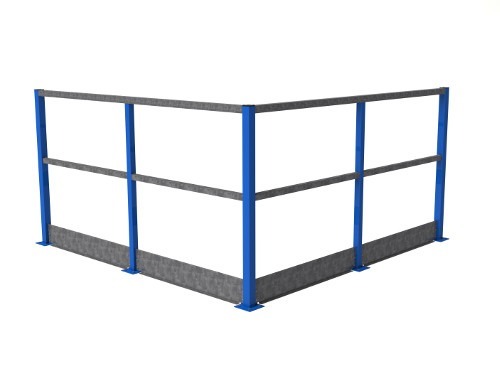 In some cases, fixed railings are not desirable and a pallet handling system takes up too much space. 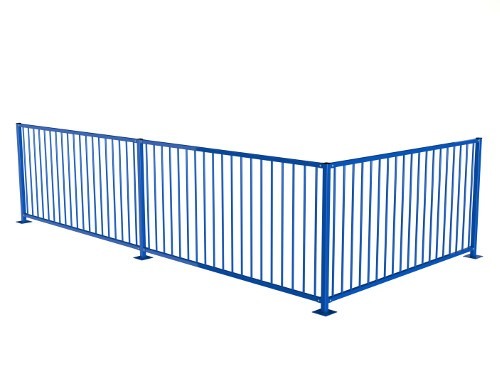 In such cases, removable railing is used. 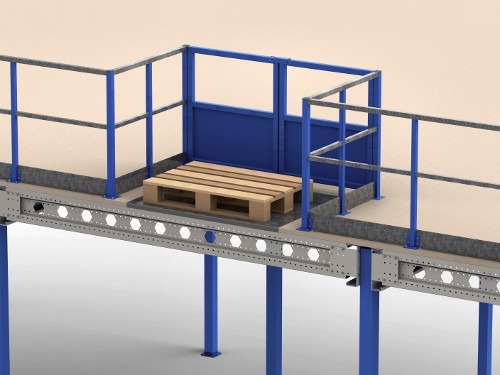 Our pallet handling systems can be well combined with our other products, for example, with a mezzanine that creates additional space. 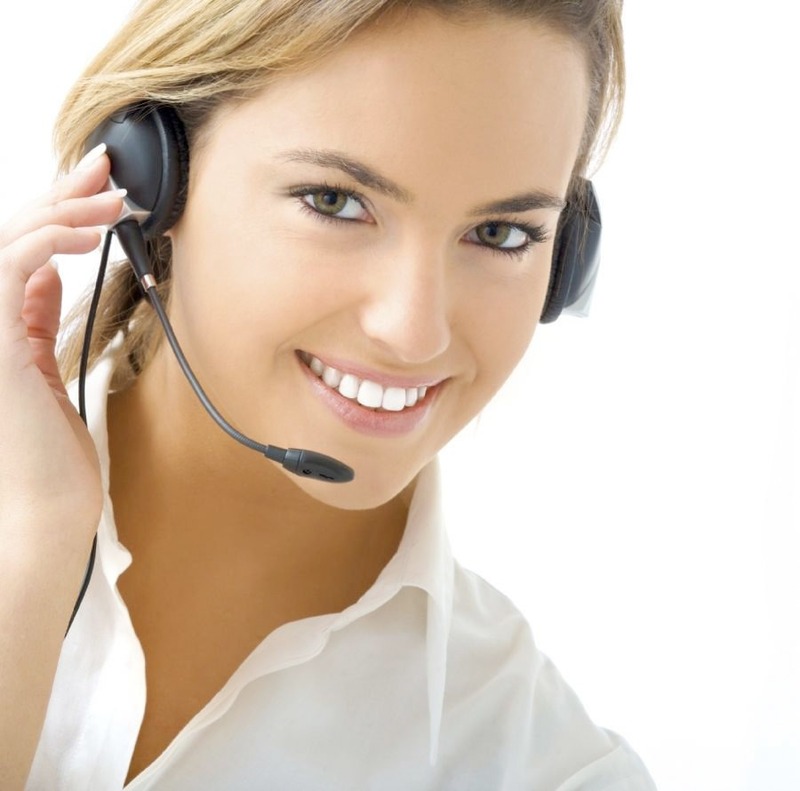 Our consultants will be happy to explain to you how these combinations can benefit you.